Ships Monday, April 22 if ordered in the next 2 days, 15 hours and 24 minutes! Hook up your Maxspect Gyre XF-150 pump to most 3rd party controllers using an available 0-10 volt port. *Requires individual interface modules per pump. Another great feature of the module is that it allows you to hook up your gyre to a backup battery. The module will automatically detect when main power is lost and will slow the gyre the 30% speed to extend the life of the battery. 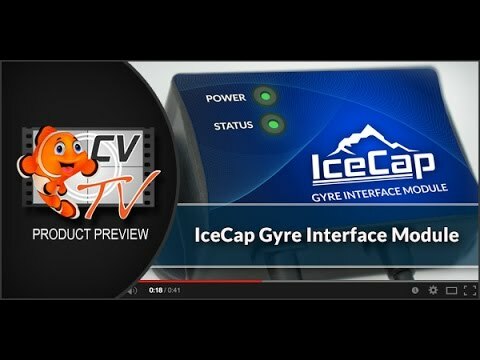 The module is backwards compatible and will run gyres already on the market. 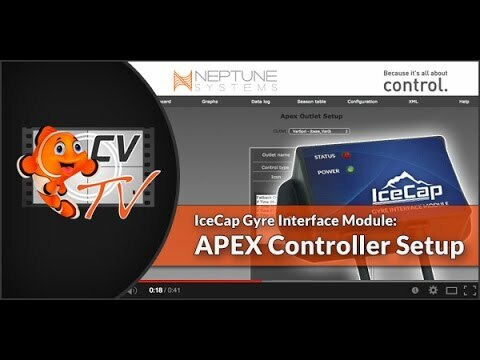 On your APEX, you will need to set up two Variable Speed pumps to control a single gyre. The first variable speed outlet will control the speed of the pump. You can set speeds ranging from 20% to 100%. The second variable speed outlet will control the direction of the pump. Set it to 0% and the pump will more in forward direction... set it to 100% and the pump will more in reverse direction. NOTICE: To run the Maxspect Gyre in Alternating Gyre Mode (forward and reverse) you will need the Alternating Gyre Mode Modified Cable (sold separately). NOTICE: Gyre wavemaker sold separately. WARRANTY IS VOID OUTSIDE OF USA. NOTICE: You will need the Alternating Gyre Mode Modified Cable (sold separately) to run the pump in both forward and reverse directions. See Overview for more info.